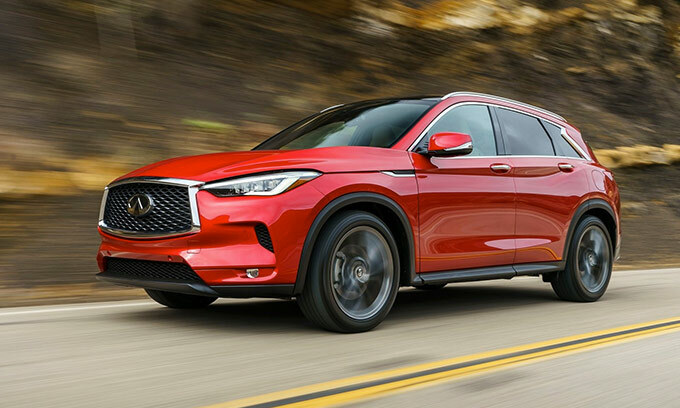 Owners and lessees of Lexus, Acura, Toyota, Honda, Audi, Volvo, Mercedes, BMW, Cadillac, Chevrolet, Buick, and GMC are eligible for Special Conquest Bonus offers on New INFINITI vehicles. 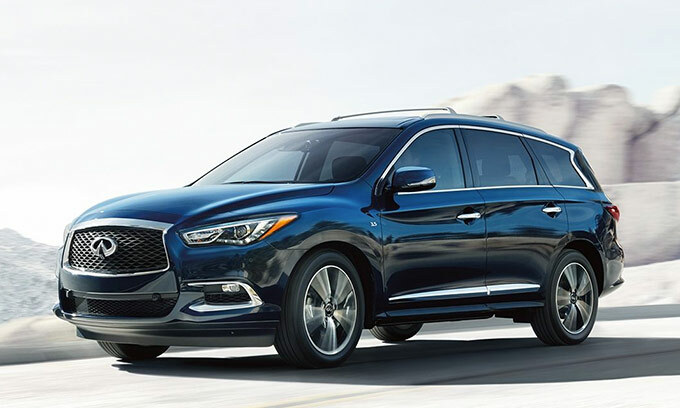 Eligible vehicles are the 2019 Q50, 2019 QX50, 2019 QX60, 2018 QX80 and 2019 QX80. Final paid units do not qualify for this offer. This program is stackable with other incentives. New, unused and unregistered INFINITI vehicles included on this and sold during the program period are eligible. Customer must provide proof of ownership of any BMW, Mercedes-Benz, Audi, Volvo, Cadillac, GM Lexus, Acura, Toyota or Honda, including proof of insurance or registration. The offer is valid only for the person the eligible INFINITI vehicle is registered or addressed to. It is transferable to other family members or friends outside the household or business. Customers can redeem the targeted conquest offer at any INFINITI retailer. Expires 01/02/2019. Owners and lessees of Lexus, Acura, Toyota, Honda, Audi, Volvo, Mercedes, BMW, Cadillac, Chevrolet, Buick, and GMC are eligible for Winter Bonus on Q50 of $2,000 on Retail Purchase or $1,000 on Leases. 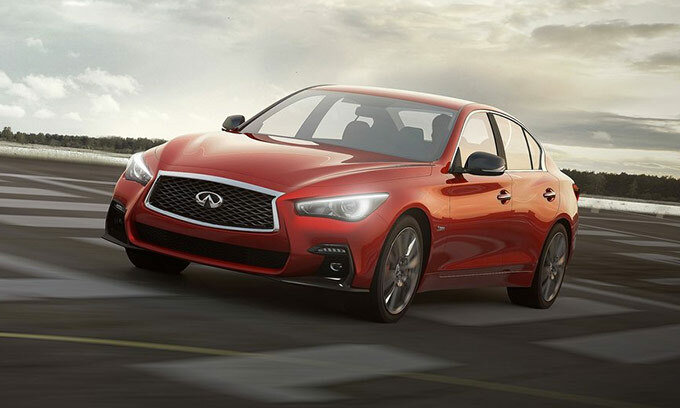 Well qualified owners and lessees of Lexus, Acura, Toyota, Honda, Audi, Volvo, Mercedes, BMW, Cadillac, Chevrolet, Buick, and GMC are eligible for Winter Bonus on Q50 of $2,000 on Retail Purchase or $1,000 on Leases. Bonus valid through 01/02/2019. Offer valid within owner’s household and may not be transferred. Down payment may be required. Subject to credit approval and residency restrictions. No trade-in required. Documentation of vehicle ownership is required to qualify. Offers are non-transferable. Must take delivery from new Retailer stock. See INFINITI of Orland Park for details. Owners and lessees of Lexus, Acura, Toyota, Honda, Audi, Volvo, Mercedes, BMW, Cadillac, Chevrolet, Buick, and GMC are eligible for Winter Bonus on QX50 of $2,000 on Retail Purchase or $1,000 on Leases. Well qualified owners and lessees of Lexus, Acura, Toyota, Honda, Audi, Volvo, Mercedes, BMW, Cadillac, Chevrolet, Buick, and GMC are eligible for Winter Bonus on QX50 of $2,000 on Retail Purchase or $1,000 on Leases. Bonus valid through 01/02/2019. Offer valid within owner’s household and may not be transferred. Down payment may be required. Subject to credit approval and residency restrictions. No trade-in required. Documentation of vehicle ownership is required to qualify. Offers are non-transferable. Must take delivery from new Retailer stock. See INFINITI of Orland Park for details. Owners and lessees of Lexus, Acura, Toyota, Honda, Audi, Volvo, Mercedes, BMW, Cadillac, Chevrolet, Buick, and GMC are eligible for Winter Bonus on QX60 of $3,000 on Retail Purchase or $1,500 on Leases. Well qualified owners and lessees of Lexus, Acura, Toyota, Honda, Audi, Volvo, Mercedes, BMW, Cadillac, Chevrolet, Buick, and GMC are eligible for Winter Bonus on QX60 of $3,000 on Retail Purchase or $1,500 on Leases. Bonus valid through 01/02/2019. Offer valid within owner’s household and may not be transferred. Down payment may be required. Subject to credit approval and residency restrictions. No trade-in required. Documentation of vehicle ownership is required to qualify. Offers are non-transferable. Must take delivery from new Retailer stock. See INFINITI of Orland Park for details. Owners and lessees of Lexus, Acura, Toyota, Honda, Audi, Volvo, Mercedes, BMW, Cadillac, Chevrolet, Buick, and GMC are eligible for Winter Bonus on 2018 QX80 of $2,000 on Retail Purchase or $1,000 on Leases. Well qualified owners and lessees of Lexus, Acura, Toyota, Honda, Audi, Volvo, Mercedes, BMW, Cadillac, Chevrolet, Buick, and GMC are eligible for Winter Bonus on 2018 QX80 of $2,000 on Retail Purchase or $1,000 on Leases. Bonus valid through 01/02/2019. Offer valid within owner’s household and may not be transferred. Down payment may be required. Subject to credit approval and residency restrictions. No trade-in required. Documentation of vehicle ownership is required to qualify. Offers are non-transferable. Must take delivery from new Retailer stock. See INFINITI of Orland Park for details. 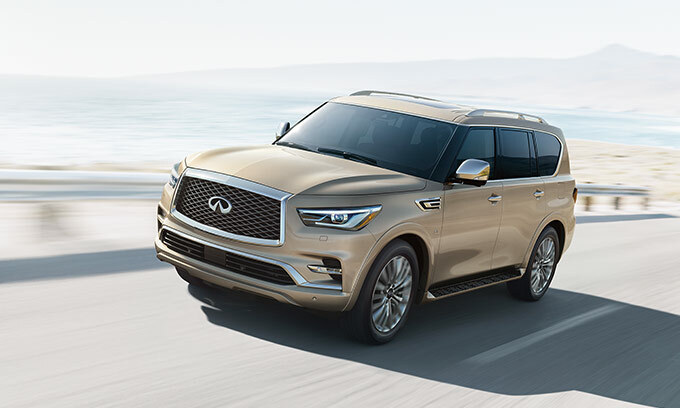 Owners and lessees of Lexus, Acura, Toyota, Honda, Audi, Volvo, Mercedes, BMW, Cadillac, Chevrolet, Buick, and GMC are eligible for Winter Bonus on 2019 QX80 of $2,000 on Retail Purchase or $1,000 on Leases. 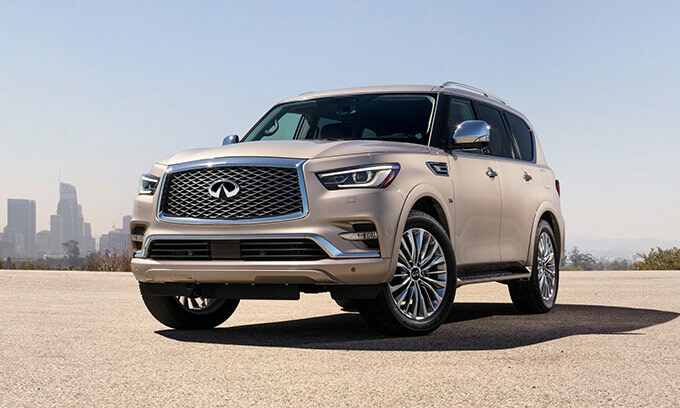 Well qualified owners and lessees of Lexus, Acura, Toyota, Honda, Audi, Volvo, Mercedes, BMW, Cadillac, Chevrolet, Buick, and GMC are eligible for Winter Bonus on 2019 QX80 of $2,000 on Retail Purchase or $1,000 on Leases. Bonus valid through 01/02/2019. Offer valid within owner’s household and may not be transferred. Down payment may be required. Subject to credit approval and residency restrictions. No trade-in required. Documentation of vehicle ownership is required to qualify. Offers are non-transferable. Must take delivery from new Retailer stock. See INFINITI of Orland Park for details.